Back in London for the 3rd Annual Texas Music Takeover, the concert series will spotlight fourteen Texas genre-diverse musicians in venues throughout London including ten Fort Worth based-artists! 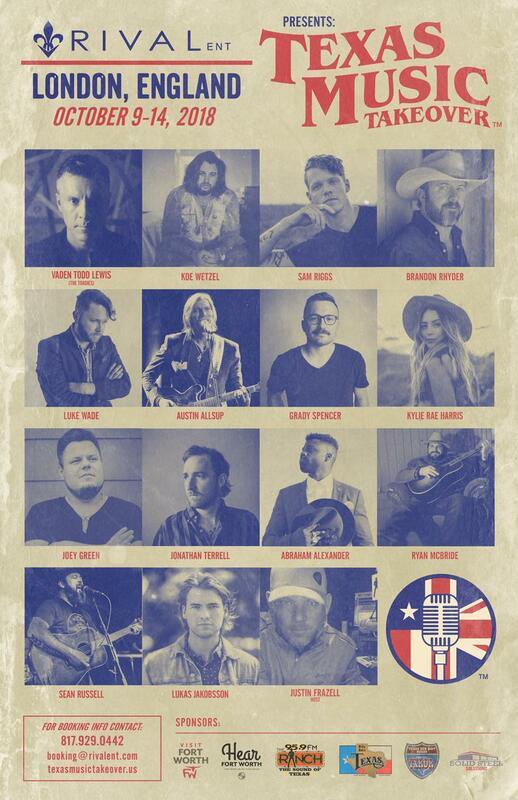 See Vaden Todd Lewis of The Toadies, Koe Wetzel, Luke Wade, Austin Allsup, Kylie Rae Harris, Joey Green, Grady Spencer, Abraham Alexander, Sean Russell, and Ryan McBride. Other Texas-based musicians include: Sam Riggs, Brandon Rhyder, Jonathan Terrell, and Lukas Jakobsson. 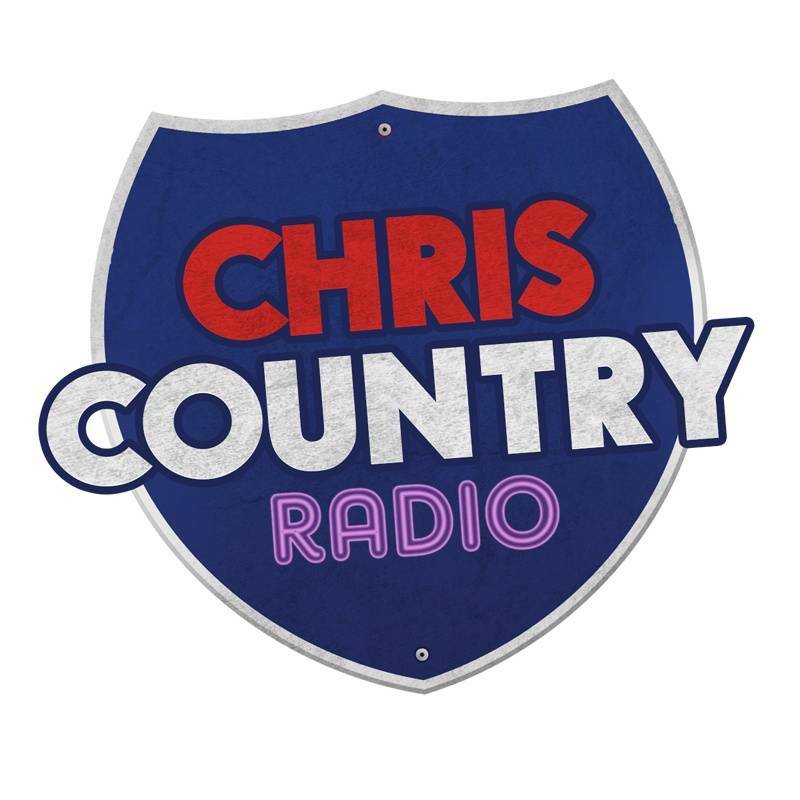 Texas Radio personality Justin Frazell of 95.9 The Ranch & Texas Red Dirt Roundup (TXRDR) will return as the TMT host for the second year. Win A Holiday To Dallas And Fort Worth! 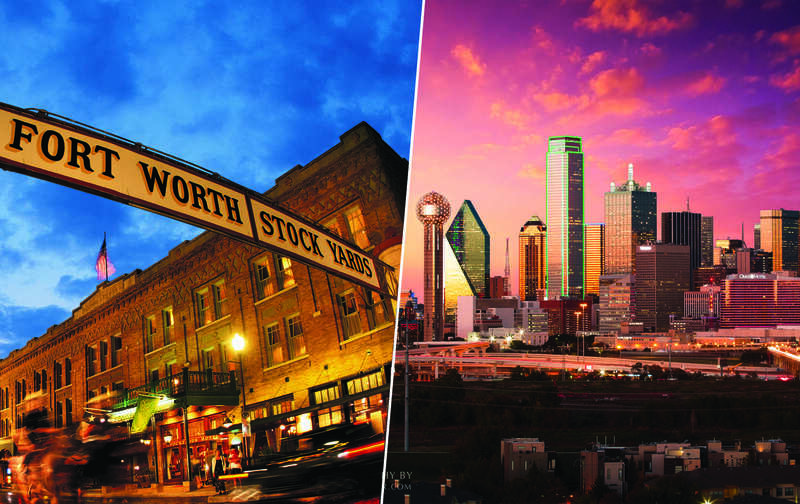 Click here for your chance to win a holiday to Dallas and Forth Worth, flying business class courtesy of American Airlines! You'll get 2 nights in Dallas, 2 nights in Forth Worth, for an incredible Texan experience!